What is the Pörner Bitumen Packing System? 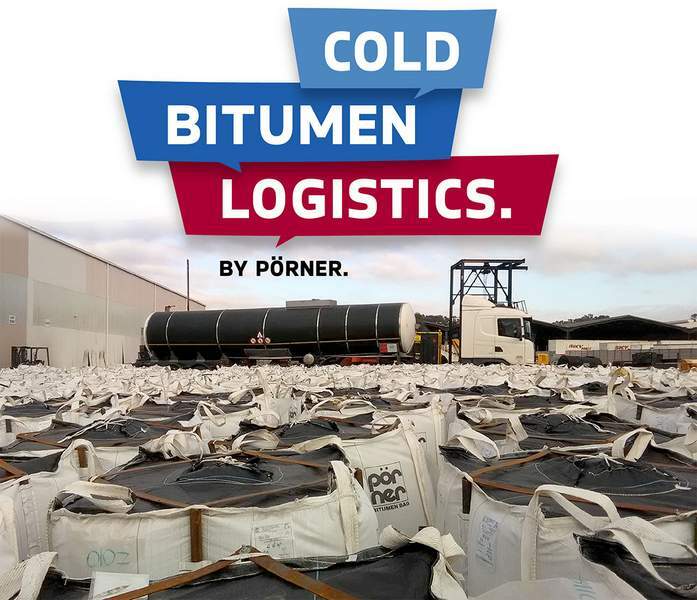 The Pörner Bitumen Packing System (PBPS) is a comprehensive cold bitumen logistic/supply chain solution from A to Z for the bitumen industry. It addresses all aspects of the bitumen producer, the logistics, the distributor and the end-user. PBPS' core element is the Pörner Bitumen Bag™, a light-weight, durable and flexible bag optimized for container transport that enables a number of economic and logistic advantages for the entire supply chain. With its unparalleled features, PBPS can increase the producer's margins, reduce transport cost and reach markets that could not be supplied economical so far. Furthermore, with PBPS, Bitumen can be stored at virtually no cost. Huge investments in terminals and storage infrastructure become obsolete. 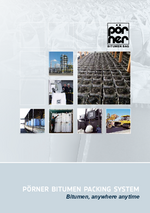 Pörner Ingenieurgesellschaft is the independent European company for process plant engineering. As complete plant engineering provider Pörner Group offers the full engineering service range: from project studies and authority engineering to process engineering, basic and detail engineering as well as procurement to construction management and commissioning of the plant. The Pörner Group offers modern technologies in the world market and supplies complete process plants, amongst others for: bitumen, residue technologies with Solvent Deasphalting, formaldehyde and derivatives, dewaxing & deoiling as well as BTX extraction technology. With the Biturox® process, the Pörner Group is a global leader in bitumen production and incorporates the Pörner Bitumen Packing System, an innovative solution for the economical transportation of bitumen in cold state. Since its founding 45 years ago the Pörner Group has implemented over 2,000 projects in the fields of: refinery, petrochemical, chemical and pharmaceutical industries as well as energy and environmental technology. With its headquarters in Vienna, Austria, the company is represented in eight locations in Germany, Romania, Ukraine and Russia.